Samantha Carroll receives a very unexpected visit from two very menacing men. They insist her real father wasn't the man she thought him to be, but instead is crime boss Nicholas Meritta who is dying and after 34 years wants to see her. Not only that, but she has a twin brother that she didn't know existed. After confronting her mother she learns all of this is true. Samantha decides to meet her brother and her biological father against her mother's better judgement. Enter Agent Nathan McLean, and let the fun begin.This novel is fast paced, and will have no trouble keeping your attention. There is of course a whirl-wind romance as is Ms. Potter's trade mark. I am usually a big fan of her historical romances, but wasn't disappointed on reading this novel. 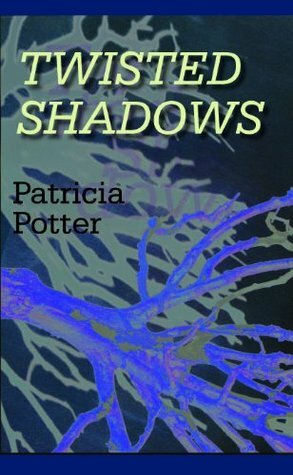 Twisted Shadows shows all of the talent Ms. Potter has. I really liked this book, another reco from Gram. I got about 25 pages in and realized I read it previously. But, I still reread it. Pretty good and it had my prerequisite FBI agent or detective. All good.